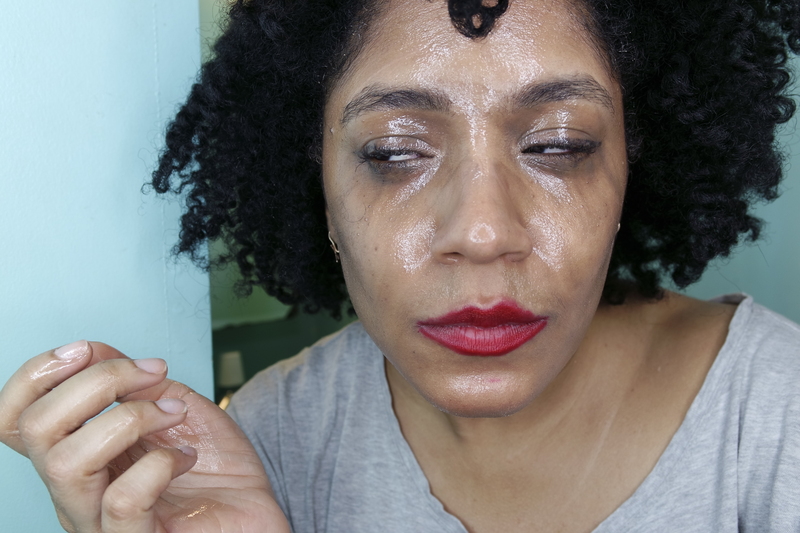 Wearing makeup is all cute and fun until it’s time to wash it off. I have been a victim of being too tired and sleeping in makeup or just using a makeup wipe and hopping in bed. Both of these methods are no good for my skin’s overall health and appearance. 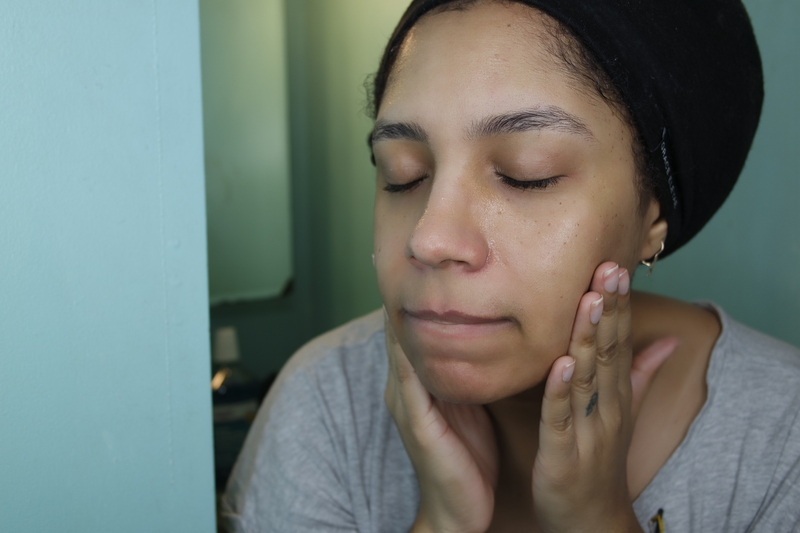 I have vowed to ALWAYS wash my face, no matter how tired I am. 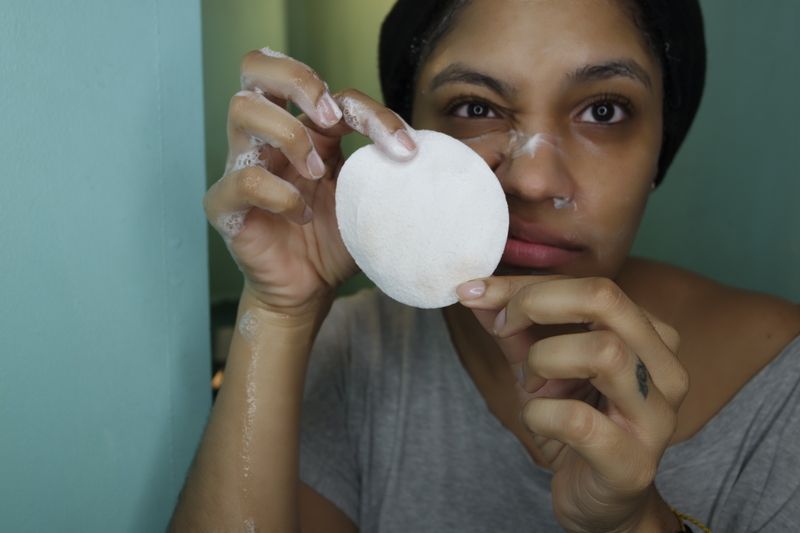 Today I am sharing the process and products I use! 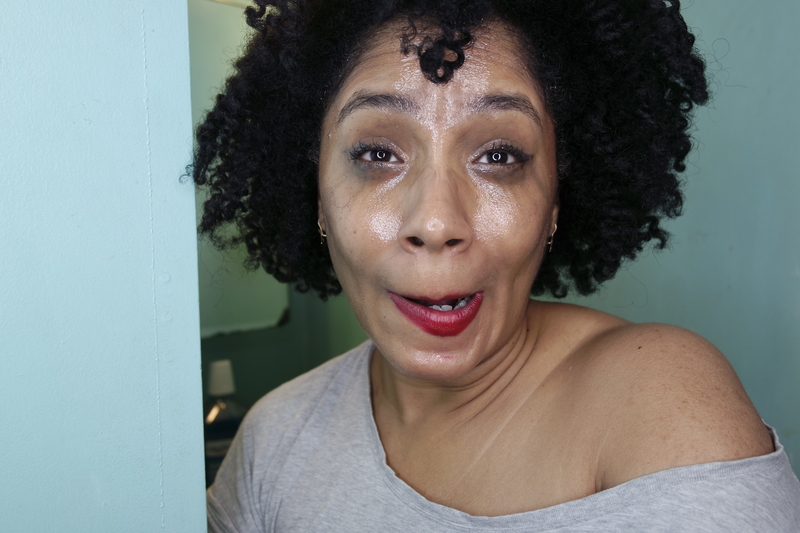 This is my face after a long day of wearing makeup to shoot for the blog, skype meetings, eating, rubbing my eye, etc. 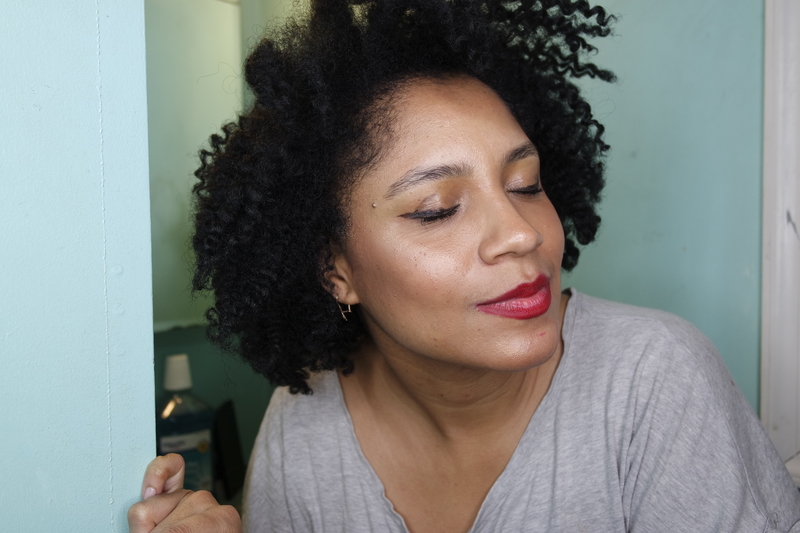 Before we move forward, this red lip is from the MakeupShayla X Colourpop Collab, I featured it here. It has held up all day without reapplying, as you can see it’s even on my chin LOL. I am wearing my usual face, with heavy eyeliner and highlighter. There is no way I can go to bed without washing this all off. Let’s get started! 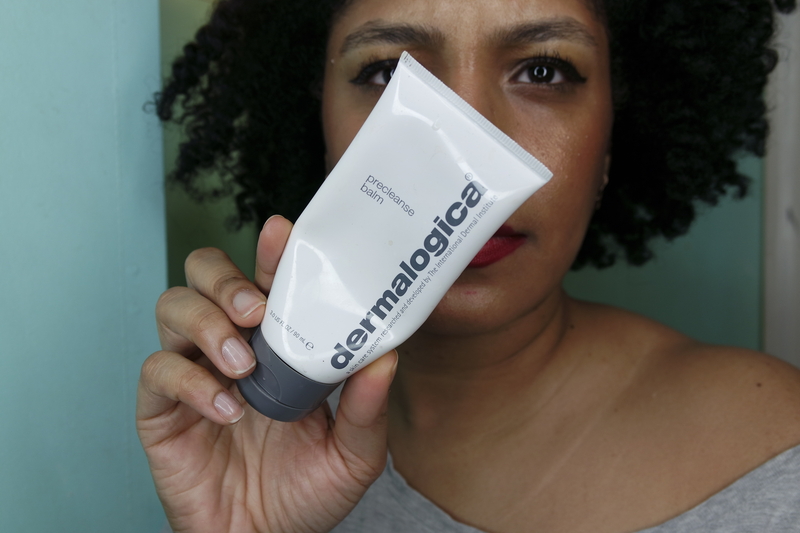 My all time favorite makeup remover is this Dermalogica PreCleanse Balm. 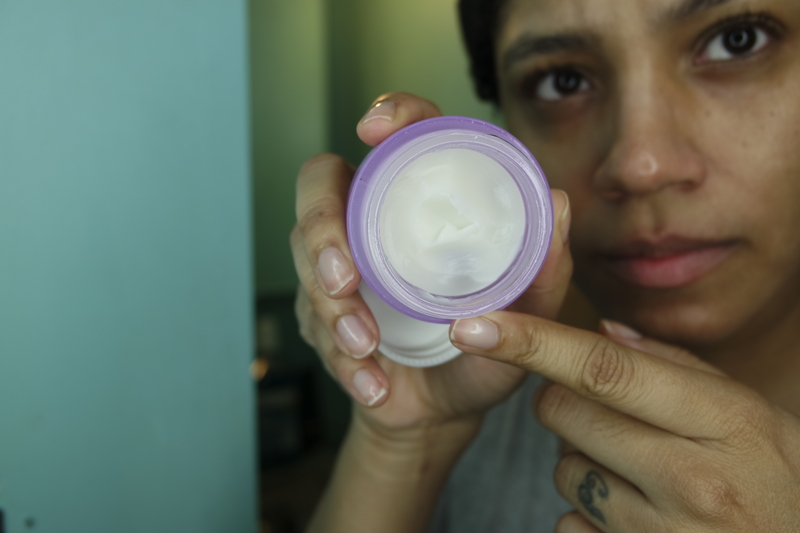 It is on the pricier side, but it literally melts away and breaks down even the toughest waterproof makeup. 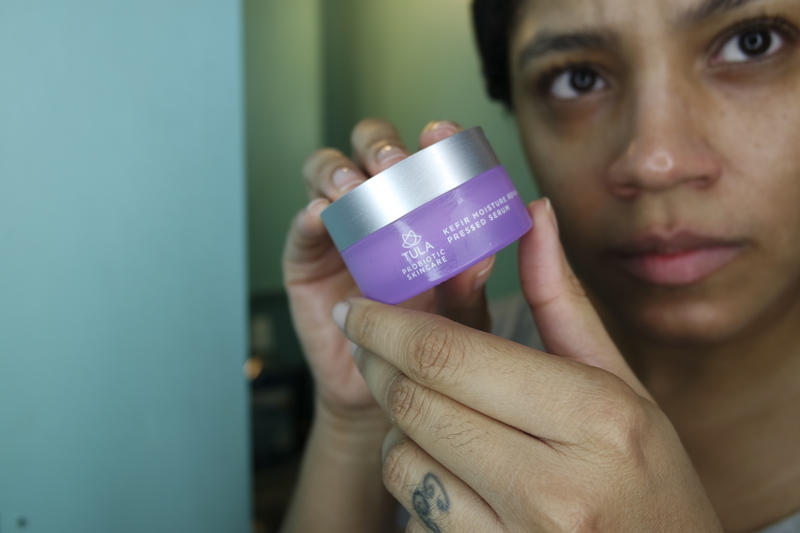 It’s a solid balm that breaks down to an oil once it touches your skin, and that oil is the key to melting the makeup off of your face! I know I am looking like Beyoncé in the “Why Don’t You Love Me?” video, but this stuff is so good. A cheaper alternative would be to use any gentle oil to accomplish the same thing, coconut, argan or even extra virgin olive oil. 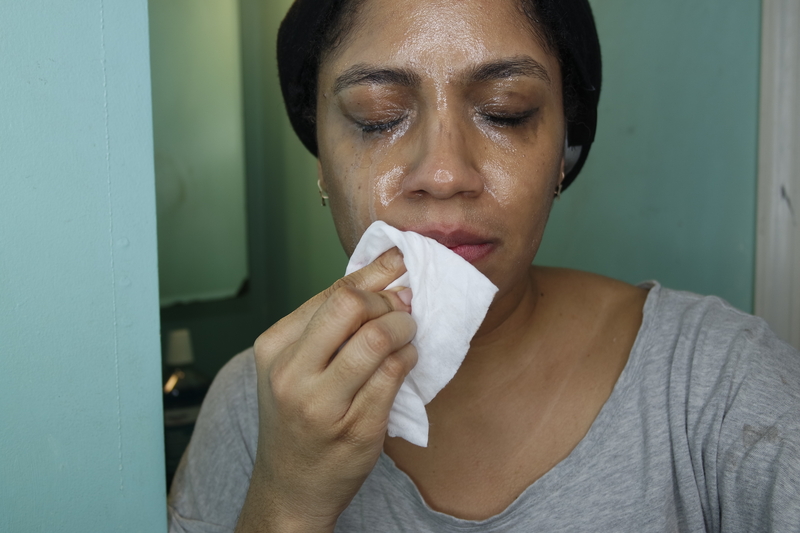 To remove stubborn matte lipsticks, I use a regualr baby wipe before washing the Dermalogica balm off my skin. 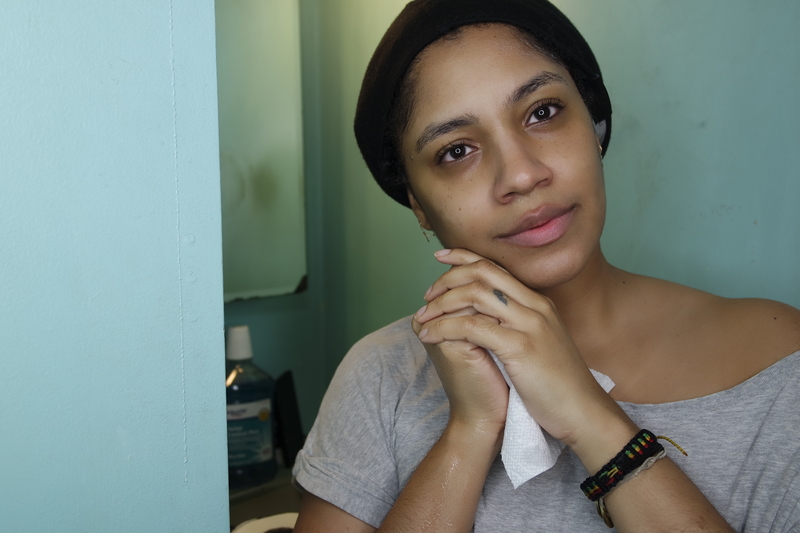 I don’t use a bath cloth or towel to dry my skin. 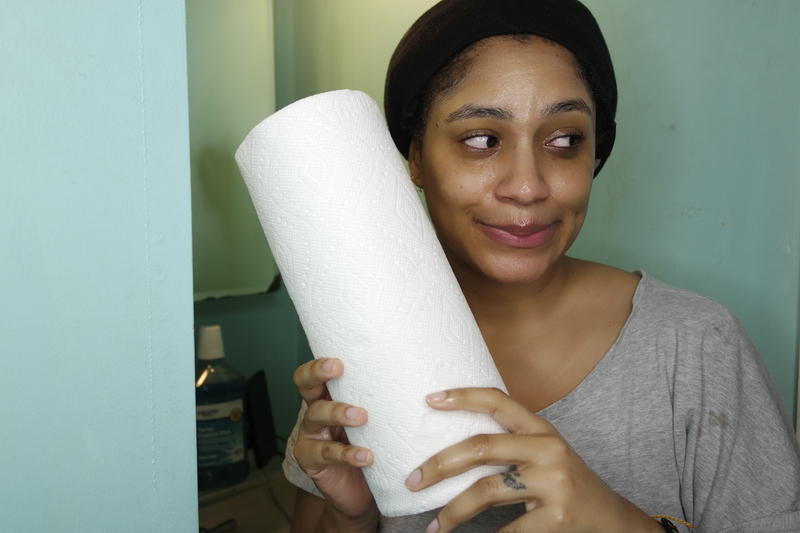 I use good ole Bounty paper towels, it just feels more sanitary to me. Each day you use a new one and dispose of it. You can also see what is left on your skin with these, because trust me, there is still makeup left. That is why I like to cleanse again. 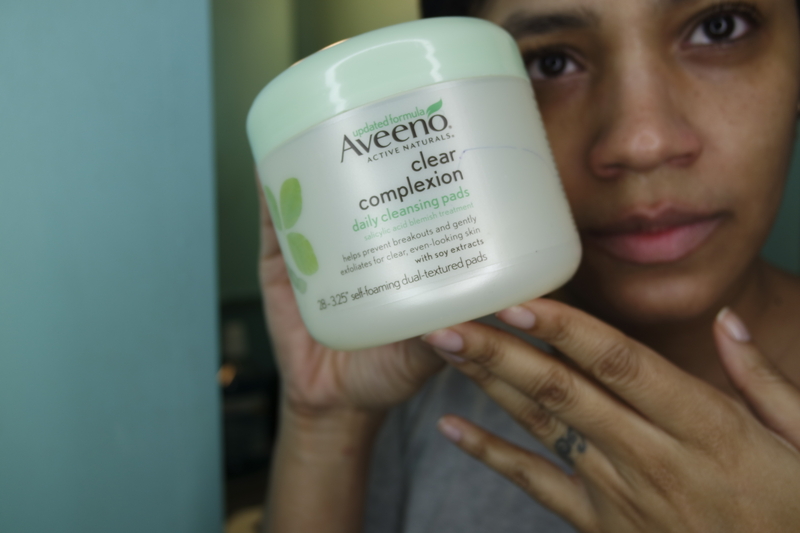 For my second cleanse I have been loving these cleansing pads from Aveeno. 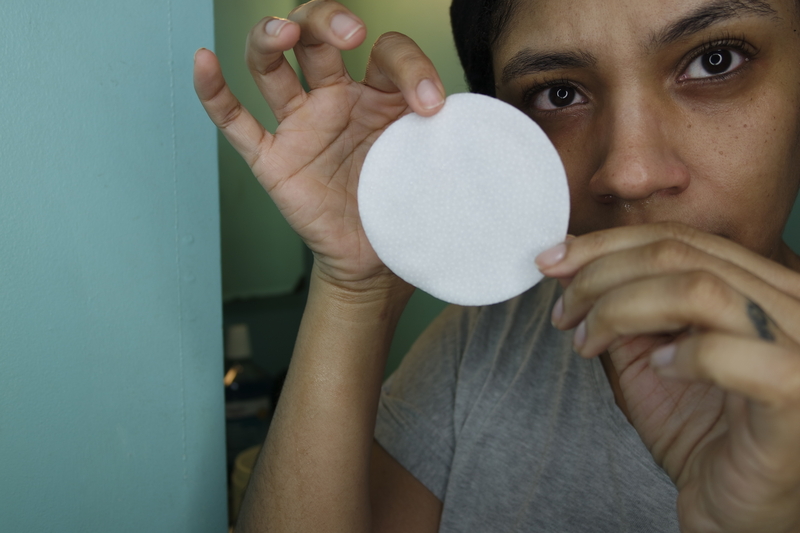 They are double sided with a slight exfoloiation side and a plain side, already loaded with the cleanser, it’s super convenient. Choose the side you wish to cleanse with and then rinse after. 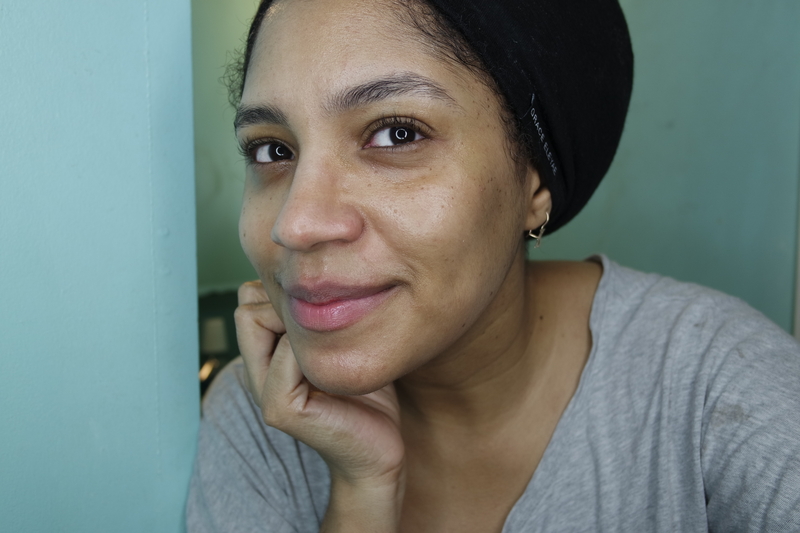 Just showing you there is still remnants of makeup on my skin even after the first cleanse. 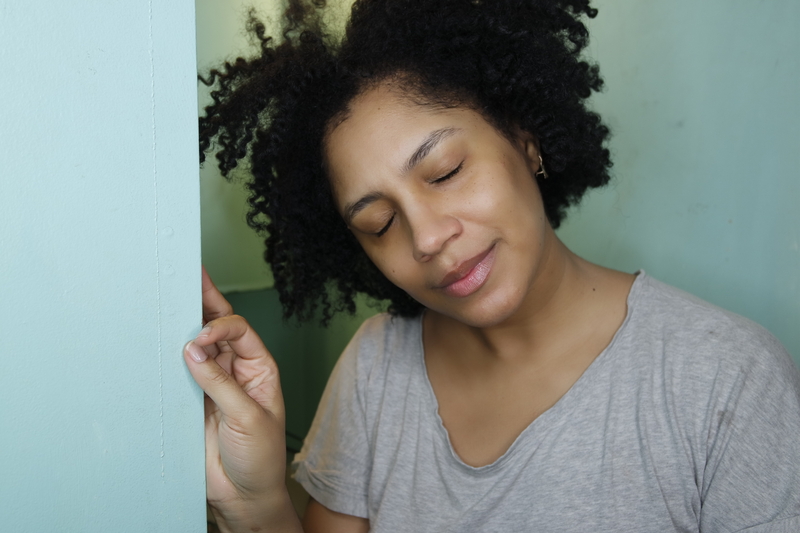 A double cleanse will take more time but you want to ensure you are not going to sleep with any traces of residue. If you have in it you, now would be the time to apply a face mask. Tonight is not that night for me. So, let’s move forward with our sreums and such and head to bed. First up, this eye cream I was sent to try out. Full dislcosure, its expensive af and I don’t think I will purchase on my own. 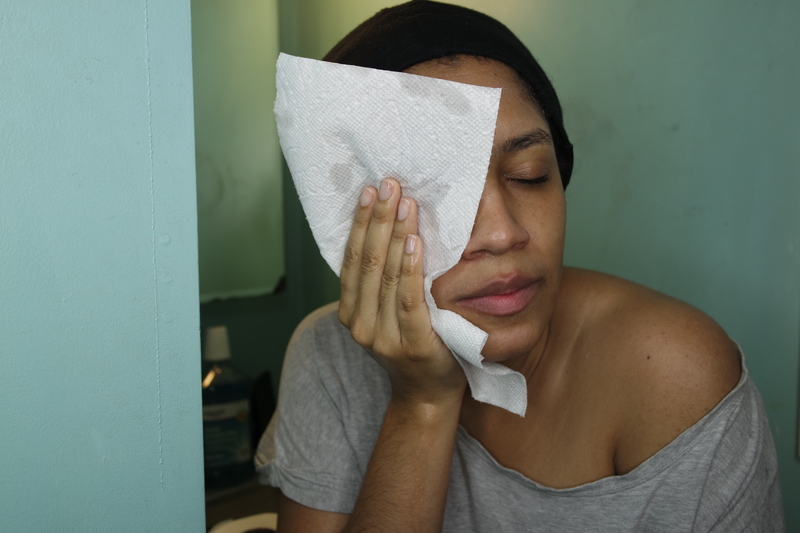 Please send over suggestions for anti-aging eye serums, that are affordable. 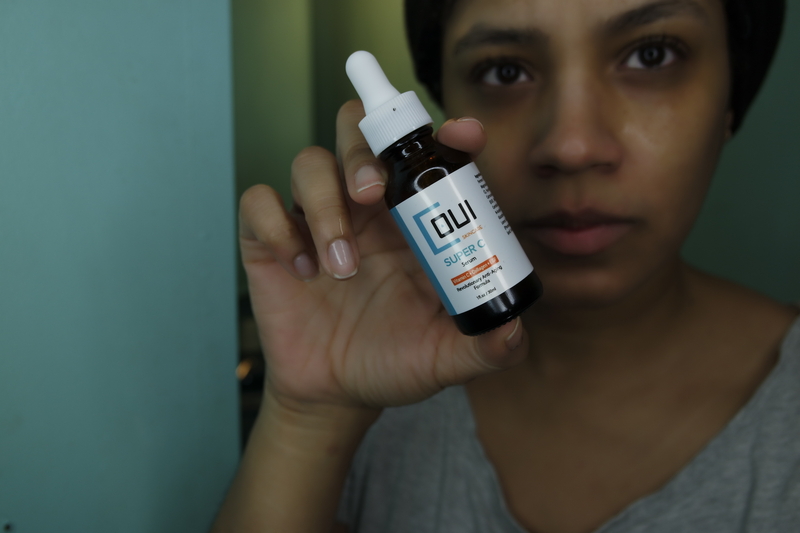 Next up, this Super-C Serum that I have been loving. 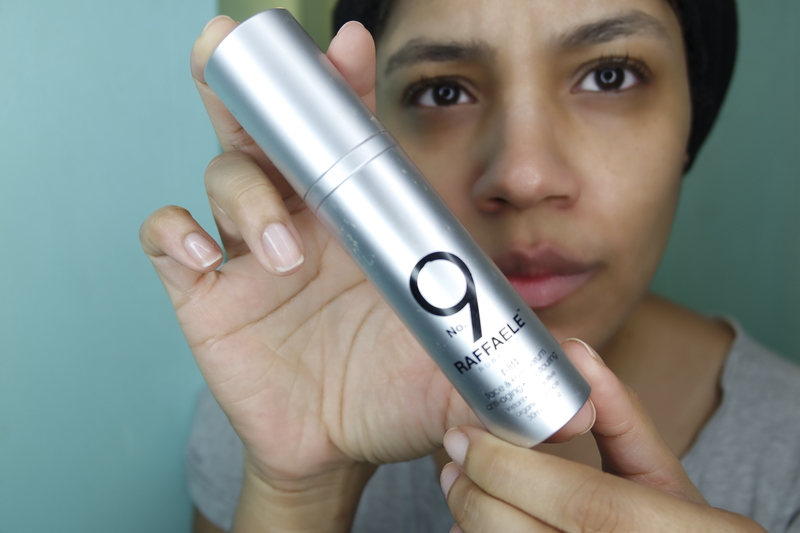 My skin is really dry in these colder temps and this is a great boost in addition to your moisturizer. Look at that skin shining through! 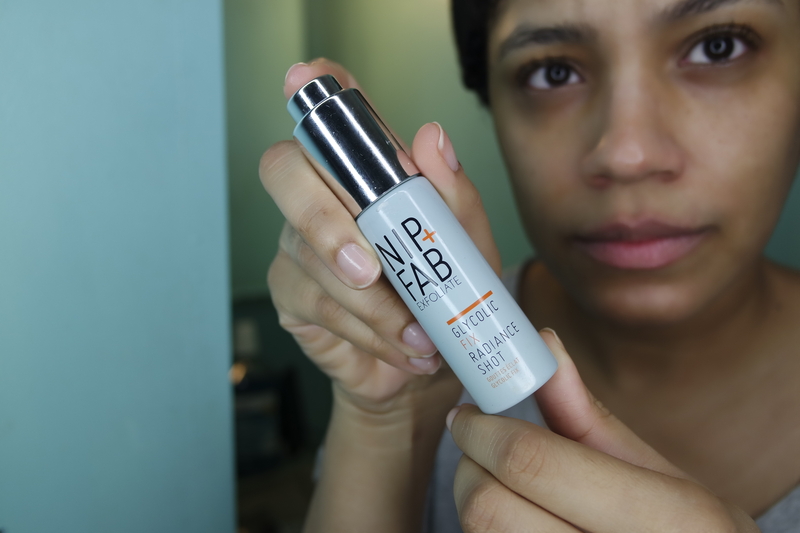 Next I have been loving this Nip + Fab radiance shot mixed with my moisturizer before bed. My skin is left so soft and moisturized it’s unbelievable. 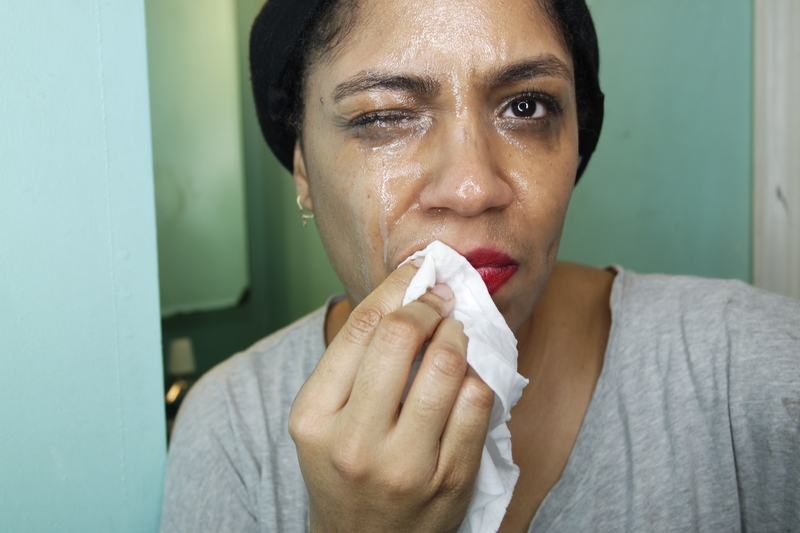 Please share your makeup removal tips below. 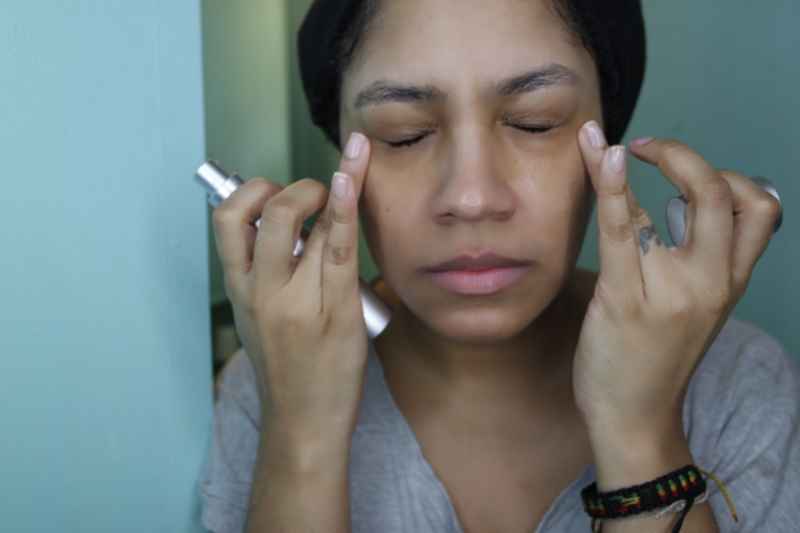 This is what works for me, I have sensitive, combination skin. 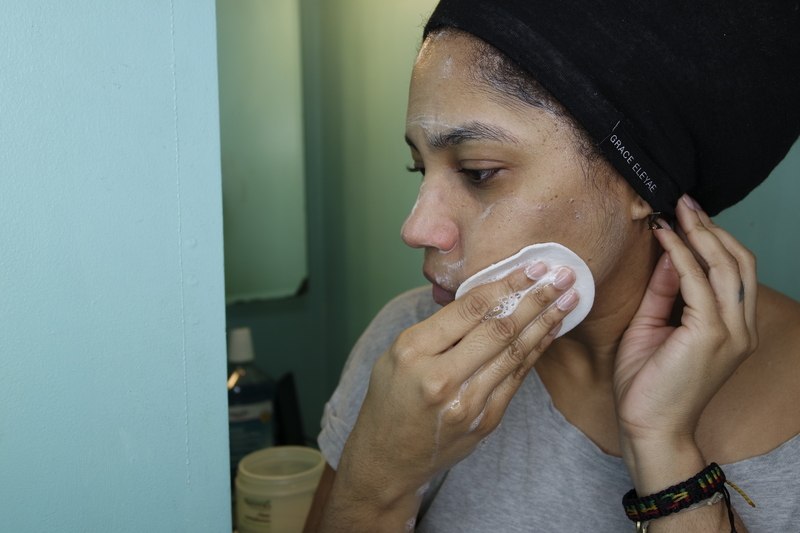 This is the best routine I have used to prevent breakouts and ensure that my skin is moisturized. Last but not least, hit those lips one time! Thanks for reading, I hope you enjoyed this post. Here’s to beautiful skin for us all! I have added all the products mentioned to an Amazon shop linked here.